Palestinian Ambassador to Russia Abdel Hafiz Nofal on Thursday refuted media reports that Palestinian President Mahmoud Abbas had been taken to a hospital the medical screening, adding that there were no changes to the leader’s plans to visit Russia on July 13. "The president is not in the hospital. He is in his office. I just spoke to him. There are no changes to his schedule and plans to visit Russia," Nofal told Sputnik. Commenting on the reports of alleged hospitalization of the Palestinian president, Kremlin spokesman Dmitry Peskov said that the invitation to visit Moscow remained in force. "I cannot say. If it is true, undoubtedly, we wish him a speedy recovery. The invitation will remain in force, it will be on the table, that is why I think that such a visit will take place once it is convenient for Mr. Abbas," Peskov told reporters when asked whether Kremlin was unaware of cancellation of Abbas' visit to Russia amid news about his alleged hospitalization. 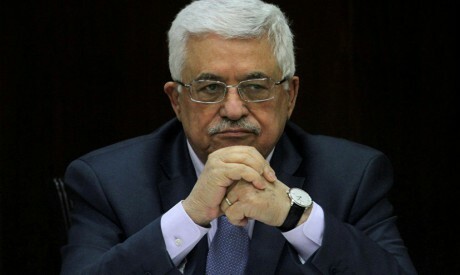 Earlier in the day, a source in the Palestinian presidential administration stated that Abbas was sent for a medical checkup. In late June, Palestinian Ambassador to Russia Abdel Hafiz Nofal told Sputnik that Abbas was expected to arrive in Russia on July 13 at the invitation of Russian President Vladimir Putin to attend the FIFA World Cup final. Last February Palestinian leader underwent what was then described as routine medical tests in New York. Abbas became the president of the State of Palestine and Palestinian National Authority in 2005 after the death of former Palestinian leader Yasser Arafat on November 11, 2004.